Andrew Simms for The Guardian polled a number of scientists about whether we could keep warming under 2°C. Not a single one thought we would. One scientist said “not a cat in hell’s chance”. Kevin Anderson, now professor in Uppsala, said politically we gave up years ago. 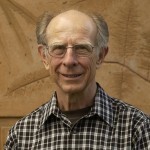 Prof Joachim Schellnhuber, director of the Potsdam Institute for Climate Impact Research, would “only confirm that it is still possible to keep global warming below 2C”. Technically speaking, I assume. The cool blob below Greenland is still there, and is much more accentuated because on the 1890-1920 base, compared with the more usual 1950-1980 you often see. My post from last October Global temperature, the North Atlantic cold blob and the Gulf Stream gets a steady trickle of visitors. The concern over the slowing Gulf Stream and its impact on weather in Europe. I hope to return to the topic soon. 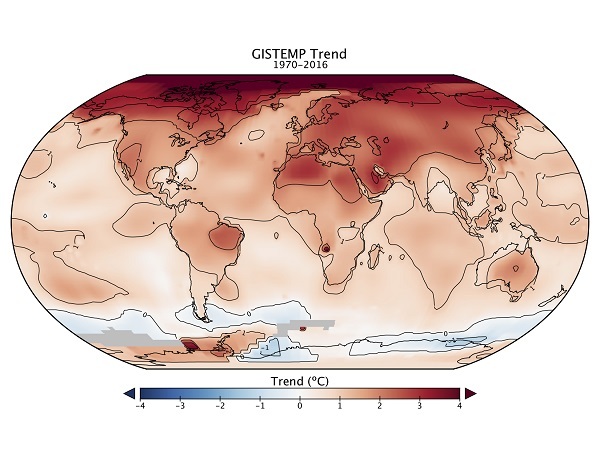 Global surface temperatures relative to 1880-1920 based on GISTEMP data, which employs GHCN.v3 for meteorological stations, NOAA ERSST.v4 for sea surface temperature, and Antarctic research station data. The Arctic is the runaway champ. 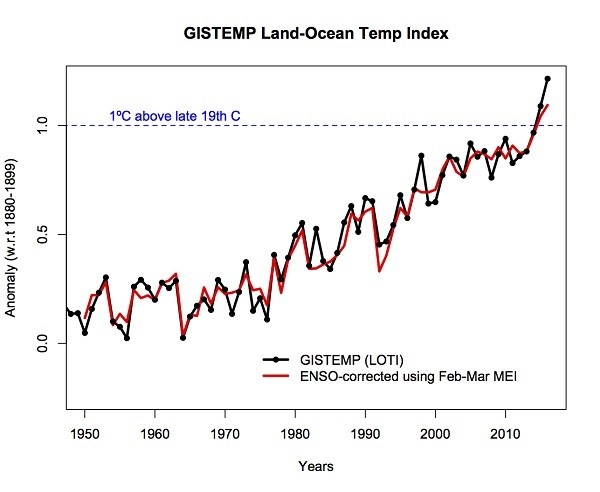 In 1997-98, very warm El Niño conditions persisted for roughly 13 months, but were then followed by roughly 32 months of well-below-normal (La Niña) water temperatures in the eastern Pacific. 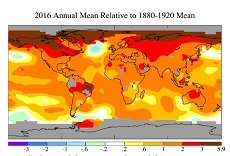 In 2015–2016, water temperatures and sea surface heights were above normal for 19 months, first weakly and then with great gusto in late 2015. 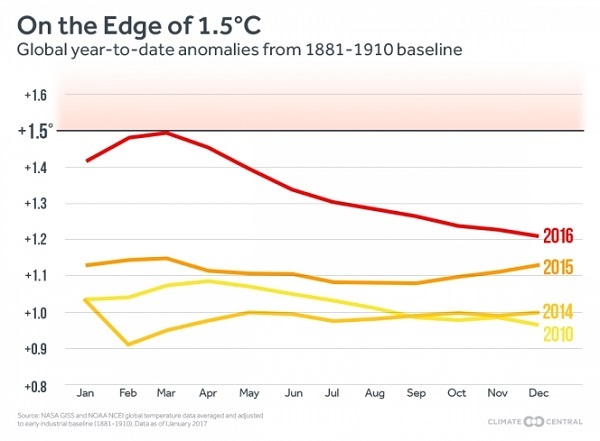 But this event has been followed by just five months of weak La Niña conditions that are already fading. They are expecting neutral conditions early in 2017. The yellow lines represent the 21st century. That was with HadCRUT data, which has no data for the Arctic where there are no weather stations. 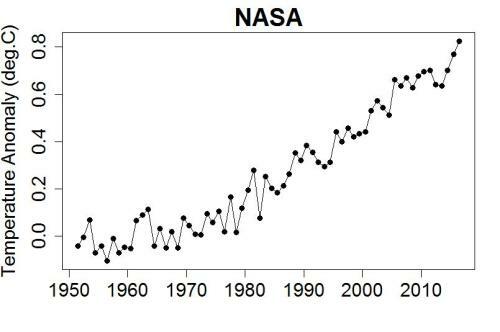 NASA, and I believe NOAA estimate the data. 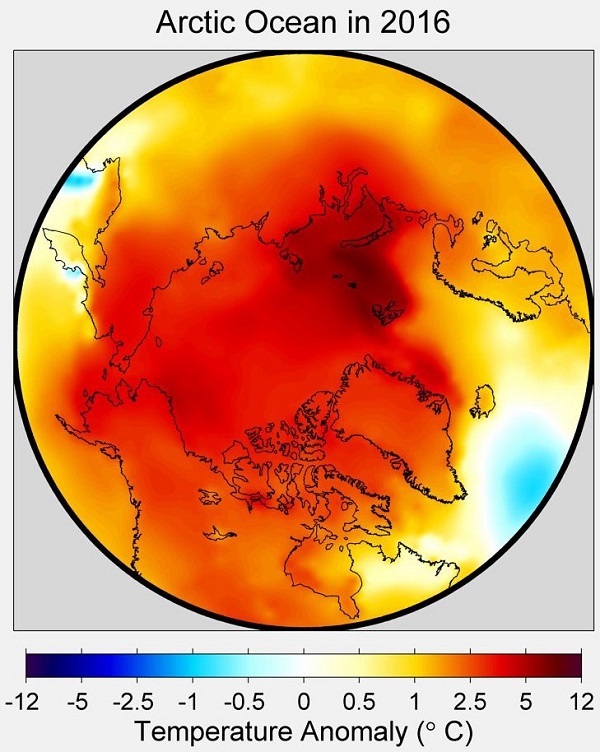 Since the Arctic is warming faster than elsewhere, the difference is starting to show. 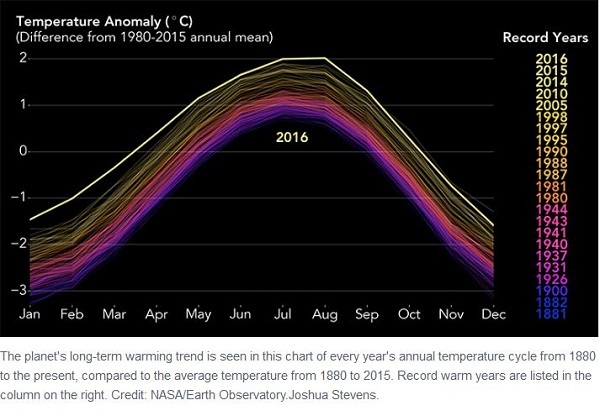 This image from Joe Romm at Think Progress shows the Arctic temperatures up to 12°C warmer than normal in 2016, whatever ‘normal’ was. 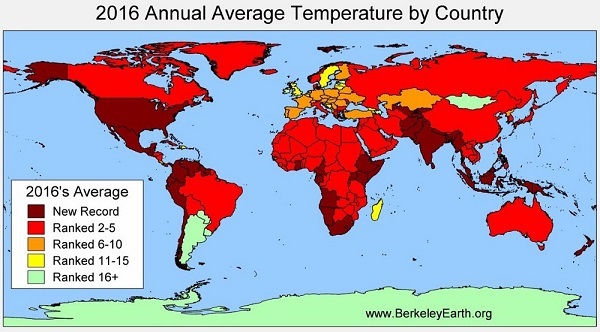 I believe Australia’s temperatures were the fourth highest on record. You can read all about us in the Climate Council’s report. 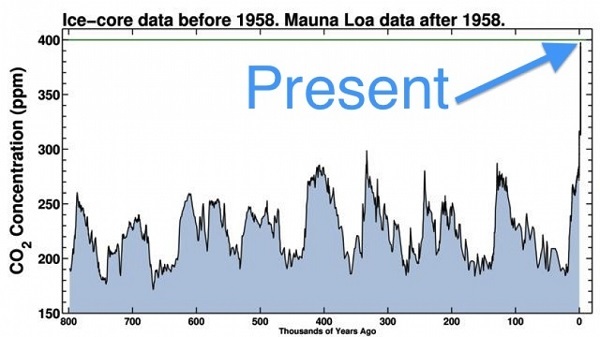 We did break the record for ocean temperatures around Australia which came in at 0.73 °C above average (1961-1990), making coral reef bleaching no surprise. 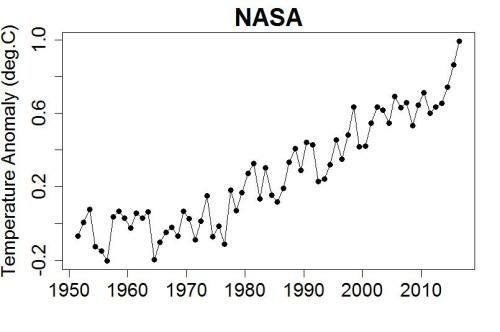 Brisbane had the highest mean maximum temperature on record. Perhaps it shows the anomaly from each monthly average. It’s no wonder things are a bit out of whack. Last year’s post was Too hot for comfort (or complacency). 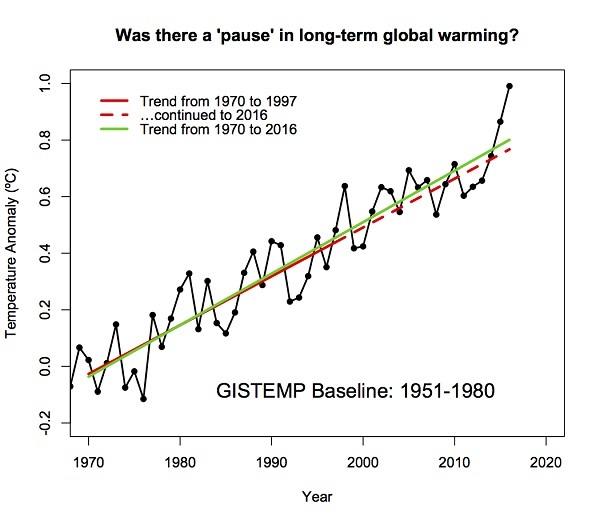 Update: RealClimate now has a post by Gavin Schmidt with some points of interest. Much the same as Tamino’s, which takes out a few other things as well. 2016 still would have been a record. 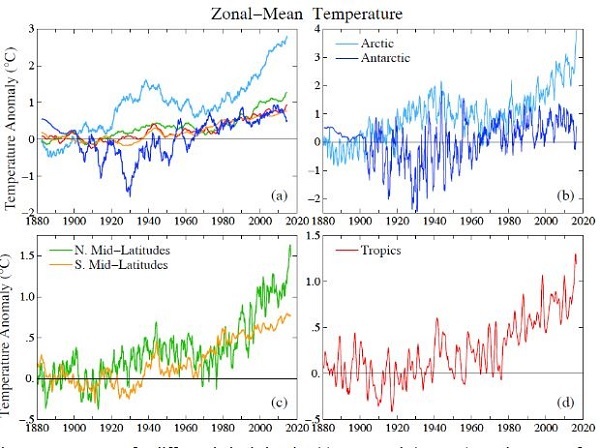 He says that leaving out the Arctic area as HadCRUT does is the same as assuming that the warming there is no more than the global average elsewhere. This is misleading. I notice that the North Atlantic cool blob doesn’t show up so much on that graph, so it must be a fairly recent phenomenon. We can’t yet say that the trend is accelerating, but he says that may not be too far away. When was your first Climate Clippings, Brian? Was it ten years ago? We were talking then about what could happen. Now it has happened. It is all just awful un news. CC probably about five years ago, but you are right. Things have gone downhill rapidly in the last 10 years. Brian, just 5 years?? Wow. 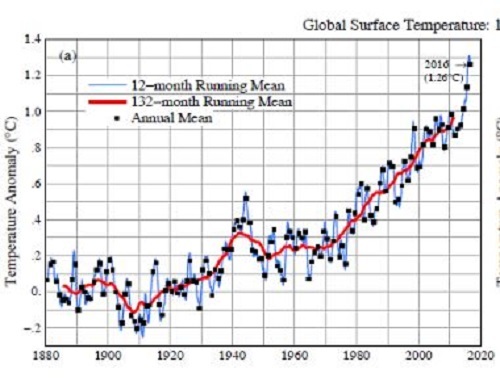 Compare your first CC reportings to the one you have just put up here and that is proof of climate change right there. What we thought would happen, and what actually happened, consolidates what we know will happen next. 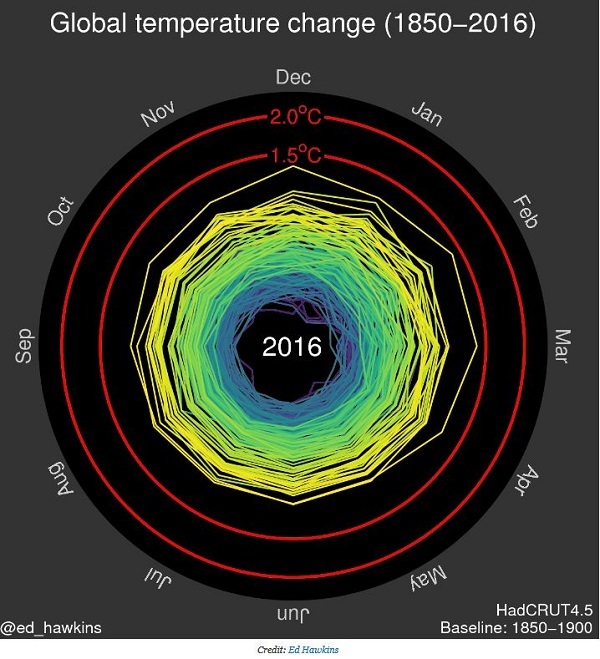 Coral bleaching, a string of record hot years, polar ice at a record low for Dec…. And it is still OK to approve Adani and the Acland extension and elect right wing crazies who think it is all an illusion. Yes, JohnD. It completely demolishes the notion that “the market knows best”, elections being a market place. While Adani has received a green light, it may still stall at the traffic lights….. (lousy analogy)….. Driver might abandon the truck, bank might repossess the truck, …..
French company Engie is getting out of coal- fired power, worldwide. Whatever they know, will affect other corporations and lending institutions. Global financing implies rapid sharing of predictions, plans, risk estimates, and many of these affect investor behaviour. Manufacturers of: solar panels, large-scale wind, large-scale solar, battery storage, electric vehicles, et cetera are growing in financial strength every day. Large and small users of electric power and transport are making decisions favouring renewables, every week; both businesses and households. My guess is, the Adani mine may never reach the exporting stage. But what would I know? 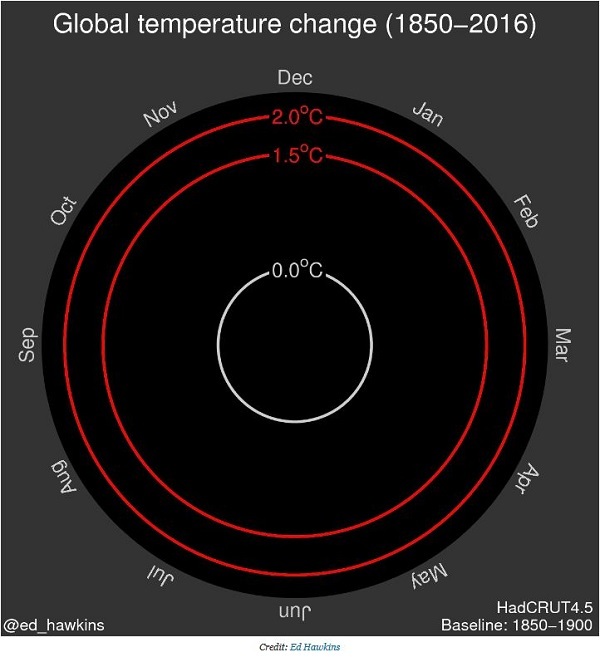 I’ve done an update from a post at RealClimate, so if I copy it in here all the images will show.